We got our hands on the new “Kaiba’s Majestic Collection Card Case” and figured we’d give you a quick review with a few photos. This case retails for $4.99 and seems solid and well-made. 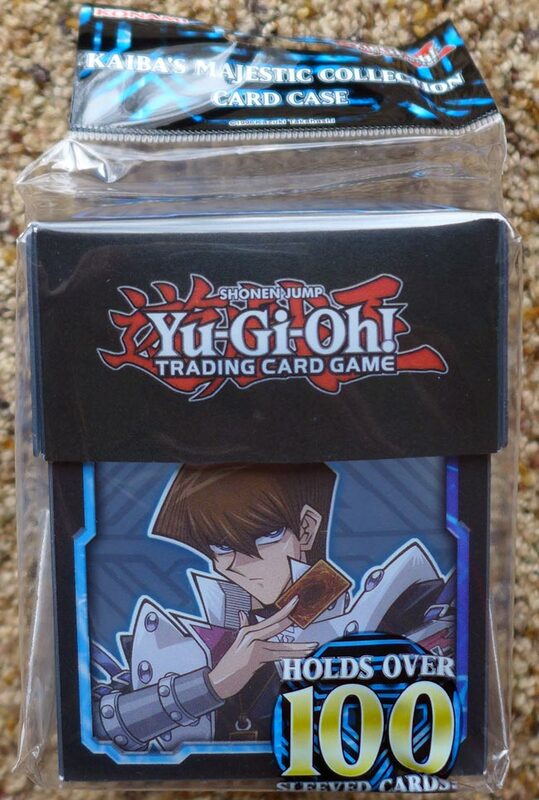 It is designed to hold over 100 sleeved Yu-Gi-Oh! cards. The Case also comes with a nice divider (see photos below) to separate your main deck from your extra/side decks. The case does not contain any sleeves, but you can pick up the matching sleeves we reviewed yesterday for $4. The case closes via Velcro on the lid. 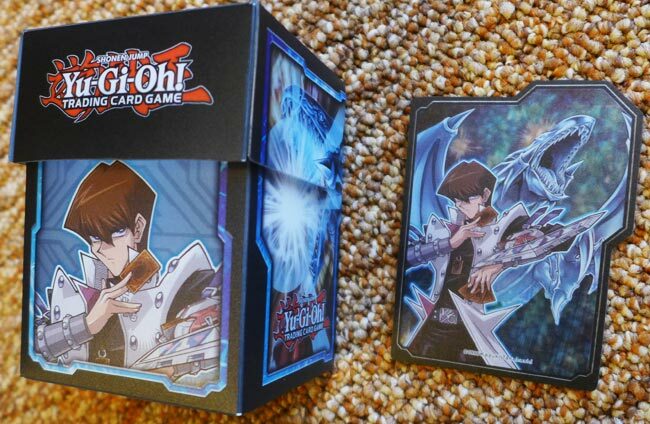 Artwork features Kaiba on the front, and BEWD on the sides. If you like Kaiba and BEWD, this is pretty nice for only $5. Now you can carry your Deck in CEO style with Yu-Gi-Oh! Kaiba’s Majestic Collection Card Case! Featuring Seto Kaiba along with artwork from Burst Stream of Destruction and Majesty with Eyes of Blue, this Card Case is bound to strike envy in your rivals as you set it down on the table. With enough space to fit a Main Deck, Extra Deck, and Side Deck, Yu-Gi-Oh! Kaiba’s Majestic Collection Card Case is sturdy enough to last you while you rise through the ranks! Each Card Case also includes a Deck Divider.